Oh! my fave is the Antiqued Copper Butterfly Necklace!! gorgeous! I LOVE the key necklace! I have an obsession with them right now! I totally follow you...wouldnt change it! She is a favorite on etsy! I agree with Shauna! The Key Necklace is BEAutiful! I'm obsessed with keys. So the Key Necklace with Amazonite and Korean Olive Green Jade Beads made me squirm and say "oooo i wannnnt it!!!" that sounds a little weird, no? 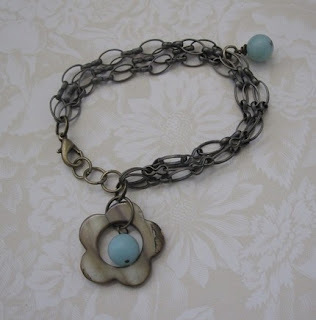 I love the .Peach Czech Glass Flower Bracelet ! I love the Silver Pink Cherry Quartz Hammered Earrings, they are so pretty! And I'm a follower of Life In The Pitts! So gorgeous, all of it!!! i'm a follower here already!!! 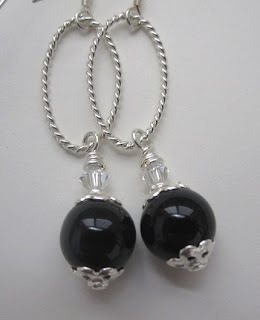 gorgeous stuff helena, i love when you find new etsy shops for me to admire and love!!! I want the fairy charm! I LOVE the birthstone ring. I wish she had it in more options then just March. I would actually want to get the January stone in it for my wedding anniversary. The flag heart charm is a close second though. I Love Charms is a Favorite store in Etsy. I “like” I love charms on FB. 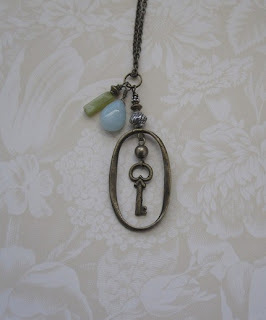 My absolute favorite is the Key Necklace with Amazonite and Korean Olive Green Jade Beads, beautiful! I made I Love Charms a favorite on my Etsy. I love the march birthstone ring necklace! its soo cute and would make a perfect gift for my mother in law since she has a March birthday. Actually, I think I'm going for the cinderella pumpkin carriage charm. My mom started a bracelet for me when I was in kindergarten and I still love it and add to it. I could use this to commemorate Hazel's first disneyland trip! I almost typed "to start Hazel's own bracelet" ... but I'm not quite so altruistic. I love the Key Necklace!! Beautiful! I added I Love Charms to my favorites in Etsy! I really like Cherry Quartz, Lime Jade Beaded Charm Bracelet. I really like the Copper and Light Turquoise Green Bracelet. I love the copper and light turqoise bracelet! It's gorgeous! 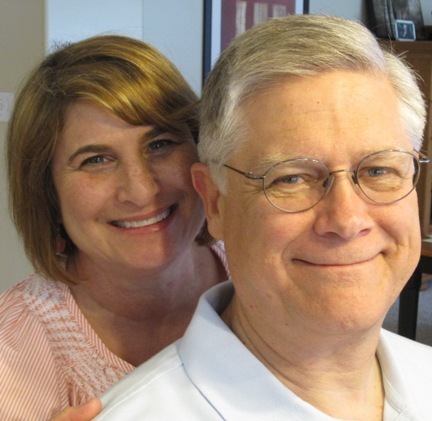 I am also a follower of Life in the Pitts. I love the copper and light turquoise green bracelet. The Chellibear comment was from me. My little sister was logged into her account and I didn't realize it. Chunky Large White Pearl Bracelet is my favorite. I love the size of the pearls! I like the combination lock charm. The Key necklace is very cool! It' a toss up! My two favorites are Antiqued Copper Butterfly Necklace and Key Necklace. Crossing my fingers!! Wrote about it on facebook! Love the Tea Cup With Saucer charm! 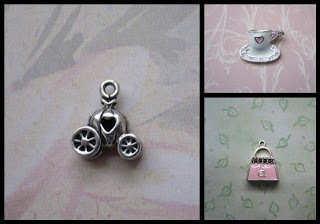 I Love Charms is an Etsy favorite of "mmaaddwoman"
i love the "silver paisley earirings pink czech flower green"
Oh wow...so many beautiful pieces but if I had to pick one.. I love dragonflies and I would choose the Dragonfly Sterling Silver Charm Necklace with Green Jasper and Lavender Czech Bead. Passing this etsy website on to my husband for my presents wishlist!!!! I just became a follower. Those bracelets are cute! I want the Antiqued Copper Butterfly Necklace Amazonite Pink Coral and might have to buy it if I don't win this raffle! I love the Cherry Quartz, Lime Jade Beaded Charm Bracelet. My daughter and myself can see us wearing this all the time. I love the Sterling Silver Pink Cherry Quartz Hammered Earrings. Thanks for the chance! My favorite piece is, without a doubt, the Cherry Quartz, Lime Jade Beaded Charm Bracelet!! I like the Peach Czech Glass Flower Bracelet. I love the Olive Green Jade Dangle Sterling Silver Earrings. So beautiful. I love all her pieces! How do you choose just one!? But if I have to chose, I really like the red carnelian silver earings! Love them!!! Thanks for all of your entries! I just want to remind you of the 20% off sale this week on everything in my i love charms etsy shop. It's my first 20% off sale. 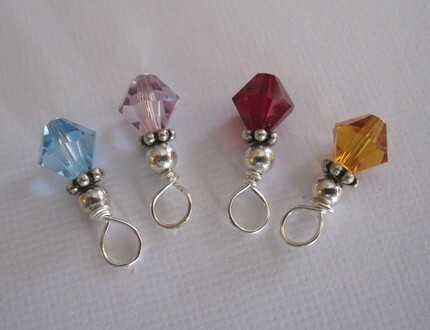 To "The Doll": I can get birthstone ring charms in all the months, but in a little bit different style than the March one I have listed. Really, I can usually find any charm you want through my suppliers. Just ask! 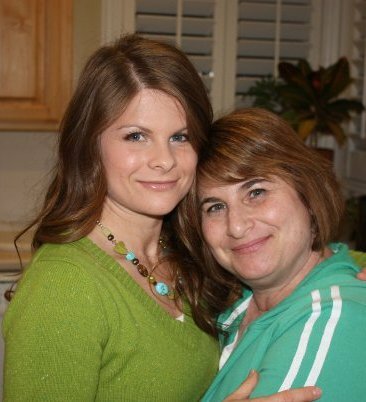 My favorite is the Olive Green Shell Cluster Necklace. Such a beautiful mix of colors with the green and the copper chain!! I love the Silver Crystal Rhinestone Bead Champagne Pearl Necklace. I love the colors of the Cherry Quartz, Lime Jade Beaded Charm Bracelet. Beautiful! the peach czech piece is pretty! I love both the "key necklace" and the "jade green drop earrings"! I am a blog follower, I like "i love charms" on facebook, they are an etsy favorite. 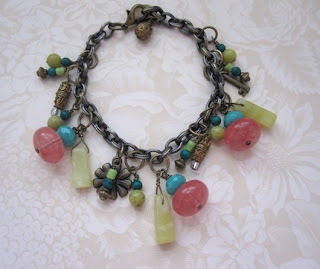 I love the "Cherry Quartz, Lime Jade Beaded Charm Bracelet". The bright colors with the antique brass is gorgeous! Oh isn't Gerri just the sweetest? i love her!! I'm loving the silver tear drop earrings from her shop!! 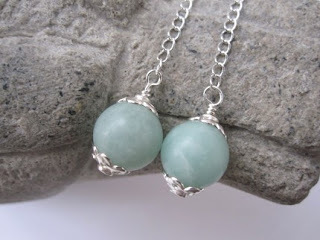 My favorite piece is the Stering Silver Amazonite Blue Lever Back Earrings! So cute! 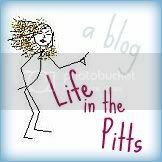 I am a follower of life in the pitts! I really like the Cherry Quartz, Lime Jade Beaded Charm. 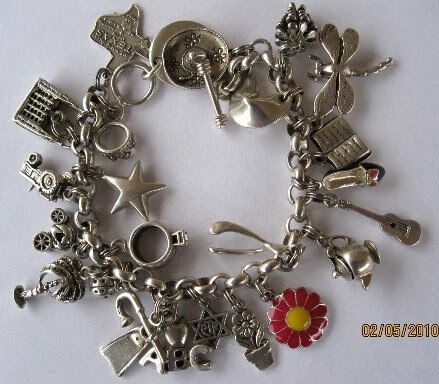 Like" I Love Charms on Facebook. Made I Love Charms my Favorite on Etsy. I like the Key Necklace with Amazonite and Korean Olive Green Jade Beads. I absolutely love the Key Necklace with Amazonite and Korean Olive Green Jade Beads by ilovecharms on Etsy!! My favorite is the Olive Green Shell Cluster Necklace! so pretty! I like the Silver Paisley Earrings Pink Czech Flower Green Bead. I like the Silver Crystal Rhinestone Bead Champagne Pearl Necklace and the Key Necklace with Amazonite and Korean Olive Green Jade Beads. I added I Love Charms as a favorite on Etsy!! I love that sterling silver fleur de lis charm! I like I Love Charms on facebook. I love the Copper and Light Turquoise Green Bracelet. So pretty!